Check out today's pricing and retail availability for Cascabel Compose. 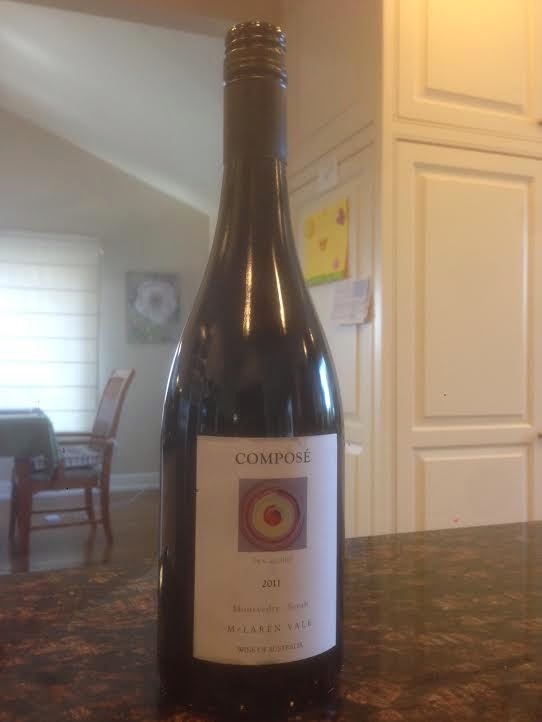 Original tasting and review : This is Cascabel Compose Mourvedre Syrah, McLaren Vale, Australia, 2011, finished at 14% alcohol and first sampled three years from vintage date, in November, 2014. In the glass: Deep brick red and magenta, opaque in the center. On the nose: Poured at cool room temperature and swirled vigorously, shows soft, red and lightly eucalyptus fruit. From the aroma, seems like this will be gentle and soft fruity. On the palate: The primary elements on the palate are in fact somewhat as expected, with soft red berry fruit prominent, robed with some gentle tannins and plush fabric. Finish lifts up to red berries and settles clean.